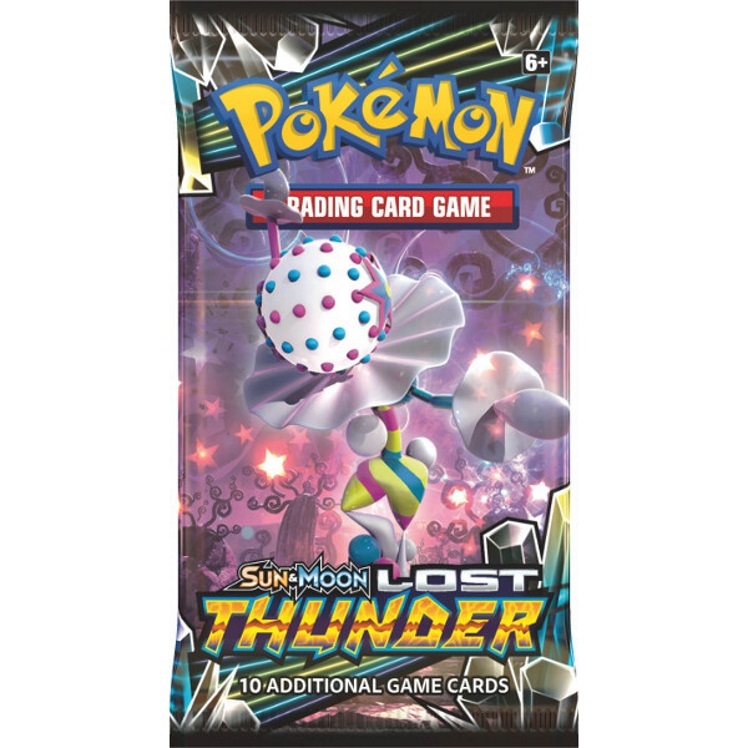 Ancient power and high-voltage sparks fill the air in the Pokémon TCG: Sun & Moon—Lost Thunder expansion! This massive expansion fuses the new with the traditional, featuring Celebi and Ditto , plus incredible Pokémon-GX like Blacephalon-GX, Lugia-GX, and Tyranitar-GX. Plus, discover the energetic might of the newest Mythical Pokémon, Zeraora-GX, in its Pokémon TCG debut. 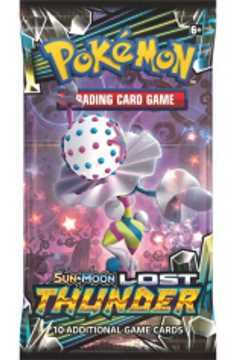 Call down the thunder and charge up your deck with scores of high-powered Pokémon in the Sun & Moon—Lost Thunder expansion!.